Strong stainless steel polished to a beautiful mirror finish makes the Jersey an irresistible find for cigarette lovers. It is capable of holding nine cigarettes of either regular or 100s size. A spring loaded metal arm is found inside the Jersey to hold your favorite cigarettes in place. 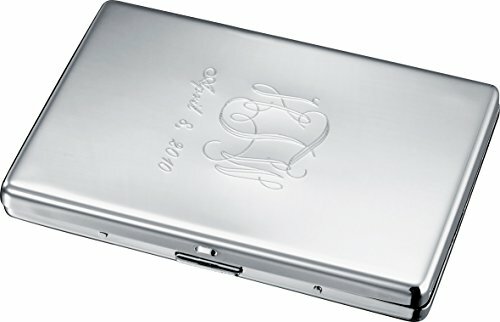 The engravable surface allows for a monogram and a message, so make this beautiful accessory unique and yours today!